“The blessings don’t stop,” wrote Weezer in the comments section of their latest gift to us all: a music video for the band’s cover of Toto’s “Africa,” starring “Weird Al” Yankovic. The band’s journey to this moment has been delightful from the start, beginning with a teenaged Twitter user trolling frontman Rivers Cuomo and demanding a cover of the ‘80s cheese-fest. 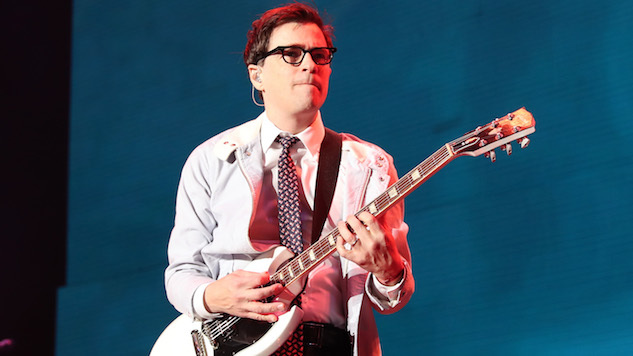 Weezer eventually covered the track back in May and it quickly became the band’s first Billboard Top 100-charting hit in over a decade. Toto returned the favor, covering Weezer’s “Hash Pipe” not long after and tweeting their support to the band. Now, Weezer have brought on Yankovic and if you only watch one thing today, make it this. Check out Weezer’s video for “Africa” below and see if you notice any similarities with the band’s video for “Undone – The Sweater Song.” You can also revisit Paste’s listing of the 11 best Weezer songs here.